Biology is the study of living things. It encompasses not only human bodies, but animals and plants as well. Everything around us involves biology to some degree. Because of this, students in junior high and high school learn about this important area of science. Teachers who wish to teach biology to students in Michigan schools are required to take and pass the MTTC Biology Exam. The MTTC Biology Test can be completed on paper or on a computer, whichever you prefer. You will be tasked with completing 100 multiple-choice questions in two hours and 30 minutes (computer-based test) or four hours and 30 minutes (paper-based test). You must get a score of at least 200 to become a certified biology teacher in the state of Michigan. In order to pass the test, you will need to know about methods for conducting scientific research, scientific thought and inquiry, science and technology, interdisciplinary connections through science and math, cellular structure and function, chemical components and reactions, physiological processes of cells, cell division and growth, heredity and evolutionary changes, Mendelian genetics, molecular genetics, modern genetics, population genetics, ancient life, classification of living organisms, life cycles, structures of systems in organisms, human anatomy, homeostasis, human diseases, ecological systems, communities, factors that influence population growth, biogeochemical cycles, transfer of energy, natural phenomena, and resource use and management. Biology is an area of science that encompasses so many topics. 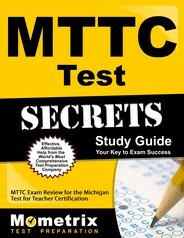 To improve your chances of passing the test, prepare by taking the MTTC Biology Practice Test. This handy study aid takes you through some of the questions you can expect to see on the real test. You’ll be able to quickly identify areas of improvement so you can focus your studying efforts. 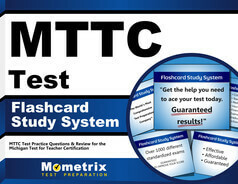 Improve your score even more by investing in the MTTC Biology Test. This tool guides you through the test and helps you make the most of your study sessions. With both of these study tools available to you, you’re sure to pass with flying colors.